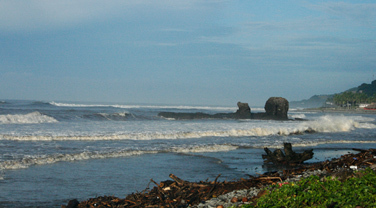 Playa El Tunco is located just 31 minutes away from the international airport, is one of the most popular beach town, the surf is very consistence and for all levels, having two different breaks, a rocky pointbreak named Sunzal and a rivermouth with left and rights waves named Bocana, in the town you find several hotels, bars and restuarants, very popular for the live music parties during the weekends. 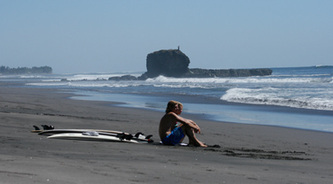 El Tunco beach town is a great place for backpackers looking for surf and budget accommodations. 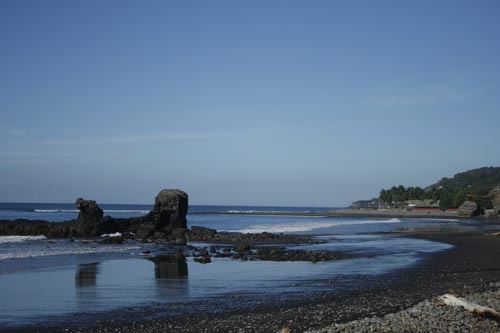 The beach is named "The pig" because its rock formation in the middle of the beach with a shape of a pig! 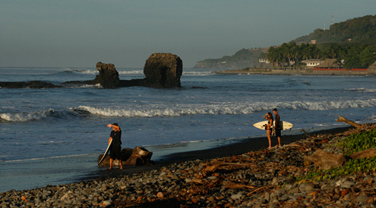 this beach is one of the most important surf spots in the country, Sunzal pointbreak is a Classic wave with very consistence surf all year around. 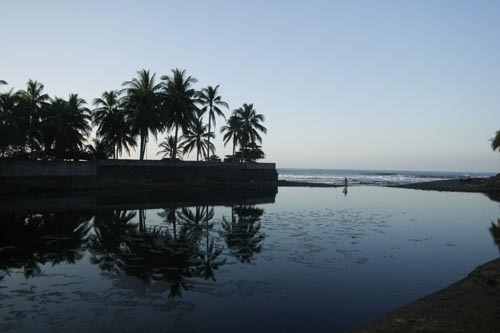 Its location in the middle of La Libertad area make it easy to move around the different beaches by public buses or private transportation. Amazing Luxury resort in the middle of Playa El Tunco town, villas with full equipped kitchen, rooms with fridge, coffeee machine, air conditioner, cable tv, private bathroom and ocean view. 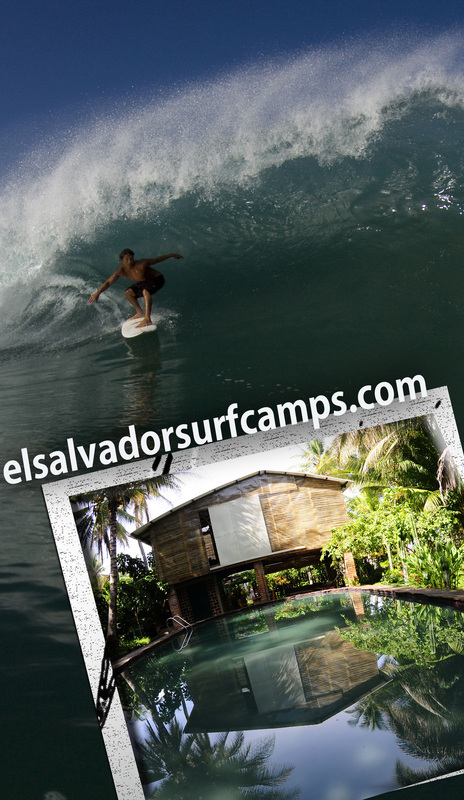 Right infront of the ocean with a private enviroment, small surf hotel in the middle of El Tunco beach town. Sunzal pointbreak is a great spot for lessons, easy and slow wave sections, The best time for surf lessons is from november until March and April. Playa El Tunco hotel best rates. Small apartments with fridge, oven, private bathroom, cable tv, air conditioner and three beds, very confortable, with swimmingpool and wifi internet. two person US$60 per night. 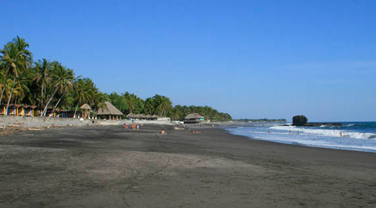 Budget accommodation in playa El Tunco. Surf house available with swimmigpool, beach access, wifi internet, big gardens in between a great natural enviroment with the best rates. Rooms with two single beds or just one queen bed for couples, big livingrooms and space for relaxing. Rates since US$10 per person.